This book review is about the autobiography of the person who comes to your mind when you hear "Roadie Banega? ", yes you guessed it right.. Raghu it is! 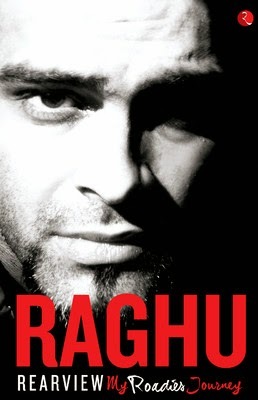 The book, Raghu - Rearview My Roadies Journey, is all about the personal, professional and the emotional life of Raghu Ram who according to the book overview section is the rudest man. We have seen him as one of the rudest man on TV but what if I tell you that he just pretends to be like that? Would this change your perception towards him? No? What if I tell you that he is being asked to pretend like that? Not yet? Then you must definitely read his autobiography for second thoughts. The book starts with the pre-birth story of the twins and why they were named Ram and Lakshmana. It also talks about their school & college life, their first encounter with a Bully and their first fight back as well. We can title this as "From being bullied to being a Bully", vast improvement isn't it? Gradually, the narration moves ahead and talks about the start of his professional career at MTV which co-incidentally was his dream company to work for. Since then he has had some job switches and mood switches as well. Raghu has beautifully penned down about his on screen debut as a panelist on Roadies and the man that we know, the co-host and presenter. Raghu also talks about his love for Guitar, Kerala, Wife, Brother, Insane ideas. He also speaks about some amazing facts & behind the scene kind of stuff like how did they manage to get Visa approvals for America to shoot 9-10 episodes of Roadies season 9. We all have seen Raghu do almost every task himself before it is being introduced to Roadies. This book answers us why he did and still does all the tasks himself. Some interesting stories related to these stunts are being included, like how they (Raghu, Rajiv, Rannvijay and his other crew members) almost defeated the risks and death while performing these tasks. The book reveals a less know fact about Raghu, which is "He does own a bike but doesn't know how to ride one", would you believe this? Well, you have to. On a final note, if you think reading this book will help you crack a Roadie audition then you are absolutely wrong. Read this book to know Raghu Ram more as a person that we fail to see on screen. The last 2 lines of the review are the best! Vishal, your feeling was absolutely true! I am wondering how will he now continue to pretend after revealing it being a facade. Thanks for sharing the review. 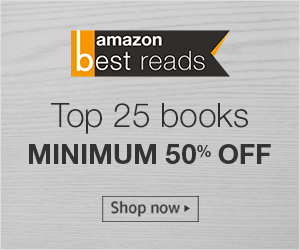 You have successfully generated an urge to read this book. I will surely read it soon!